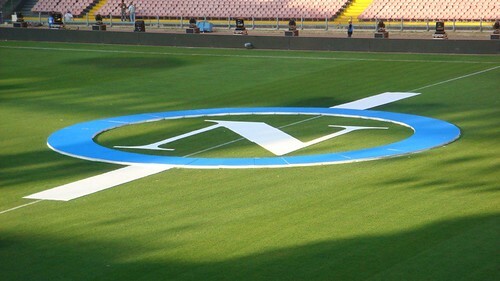 Negative results that Italian teams achieved in their European campaign this week gets another addition as Napoli also failed to get maximum results in the club’s Europa League fixture against Villareal on Thursday despite playing at home turf. Although the Partenopei can still consider themselves a bit better that Roma and Ac Milan, still getting a goalless draw at home isn’t actually a good result for the Southern based Italian team. Playing at San Paolo representing the Italian flag in the Europa League, Napoli might actually consider themselves a little bit unlucky to finish the game with only one point as they dominated the game. However, the Spanish team stood out to their task and surprisingly played a very organized defensive approach that notably troubled the home team, that are mostly known with their fast counter attacking style of play. Having the need to break down a very organized team play was not Napoli’s strength this season and not starting Marek Hamsik right from the start probably doesn’t really help the home team’s course despite dominating the match. However, a goalless draw is probably a much better result in the end for the Partenopei as not much advantage will be earned by Villareal in the second leg in Spain considering the Spanish team would still need to win the match in order to get through. As for Napoli, the goalless draw could be a blessing in disguise as there’s a chance that they could play their counter attacking game in the second leg and should they managed to score goals in Spain, the Italian side will have a major chance. Considering the fact that the first game ended in a 0-0 draw, the Partenopei can actually get through without necessarily picking up a victory at El Madrigal, getting another draw with goals such as 1-1, 2-2, etc would be enough for the Italian to book their place in the next round.